From craggy peaks to bands of wild horses, Wyoming is the quintessential Wild West. You’ll find a land of big adventures and the perfect place to bring your children to experience the great outdoors. It’s the ideal mix of awe-inspiring landscapes, exciting wildlife and easy access. From scenic drives to kid-friendly hikes to following in the footsteps of dinosaurs, Wyoming is home to infinite possibilities for a family getaway. See for yourself how much fun you can have on a memorable outdoor adventure in the Cowboy State. Wyoming’s 12 state parks occupy more than 100,000 acres of the state. From hiking and camping to fishing and paddling, the state parks have it all, including novel (but still affordable) places to stay: Glendo, Guernsey, and Sinks Canyon all have yurts, and Keyhole State Park has a treehouse where families can stay. The Wyoming Kids eXtreme program is a fun way to get engaged with the state parks, as it offers educational and historical programs and encourages kids to become Junior Rangers. The state parks also honor the nationwide Every Kid in a Park Pass, which entitles fourth graders and their families to free admission to national parks. Many of the state parks also have ADA accessible camping and lodging options for visitors who want to spend the night. Two of the country’s most iconic national parks, Yellowstone and Grand Teton, occupy the northwestern corner of Wyoming. Yellowstone, America’s first national park, is as famous for its herds of bison and giant grizzly bears as for its geysers and colorful hot springs. The skyline of Grand Teton National Park, just to the south, is one everyone should see at least once. You can enjoy some excellent swimming beaches there, and paddling across Jenny Lake is a fun way to admire incredible views from the water. 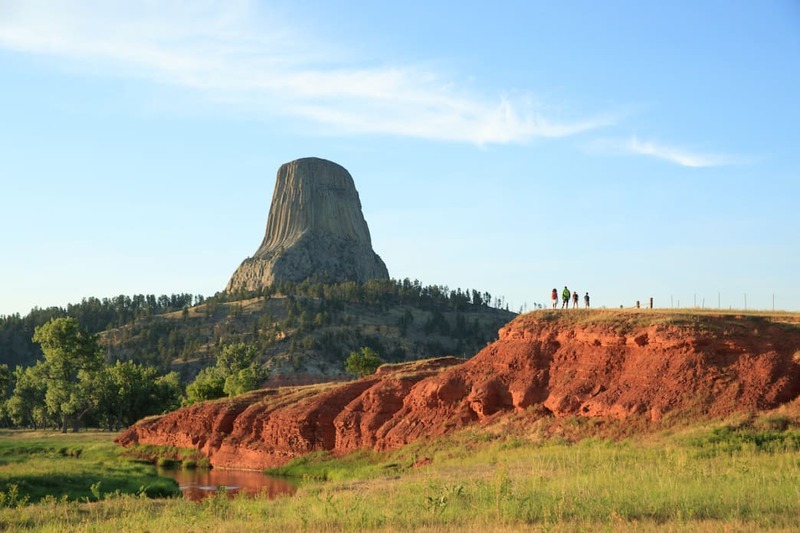 Devils Tower National Monument, across the state in northeastern Wyoming, is a fascinating cultural site with plenty of short, kid-friendly hikes, interpretive signs, and abundant wildlife (including porcupines). Wyoming lands managed by the National Park Service also have numerous paved paths with interpretive information, so they’re accessible to folks of all abilities. Fossil Butte National Monument in southwest Wyoming is filled with fossils of fish, alligators, bats, turtles, small horses, insects and many other species of plants and animals. (It’s one of the largest freshwater fossil deposits in the entire world!) If your family is interested in more recent history, Fort Laramie National Historic Site takes you back to the 1800s. The site was originally a fur trading post when it was founded in 1841, catering to travels heading west. It was purchased by the U.S.military eight years later to support soldiers in the area. What could be more evocative of the Old West than a cattle drive? Experience what the cowboys of yesteryear saw by staying at one of Wyoming’s many dude ranches, where you’ll have a chance to unplug from TV and video games and see the state as its early settlers did. At the Red Rock Ranch in Kelly, kids get to choose a horse they’ll tend to during their stay, and there are tons of summer camp-style games to play. Laramie’s Vee Bar Guest Ranch loves to host kids of all ages, and they’re big on roasting s’mores. The 7D Ranch in Cody has special programming for kids ages three to 12; they’ll learn all about Wyoming’s ecology and the connections between ranching and the natural world. Only 14 states can boast an official state dinosaur, and in Wyoming, it’s the triceratops. The state has one of the richest fossil records in the country, and many of those remains are well preserved on Wyoming’s tens of millions of acres of public land. Paleontologists aren’t the only ones who get to have fun with prehistoric creatures, as they are also a big draw for families. The fascinating Wyoming Dinosaur Center has 20 complete skeletons, and its nearby dig site offers kiddos a chance to play scientist for the day. The Glenrock Paleontological Museum also gives kids the opportunity to dig, and those under 12 get free admission to the museum. 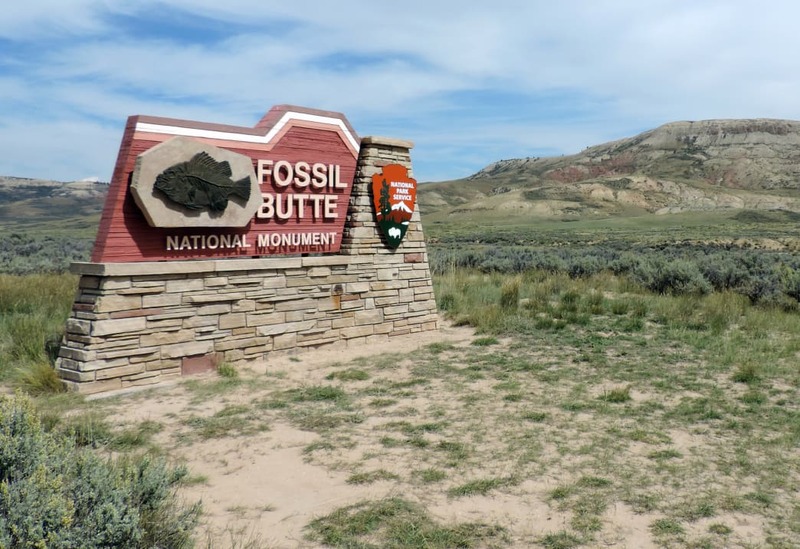 To see fossils in their natural environment, head to Fossil Butte National Monument, where you can walk in the footsteps of creatures from the Jurassic period and see a 13-foot-long crocodile fossil. During the summer, you can participate in the Fossil Quarry Program, in which visitors are invited to help scientists look for fossils and record the findings. See for yourself the process that goes into creating a display by watching a fossil prep demonstration, where you’ll learn about the tools and processes used by a paleontologist. Stop by the scientific lab in the visitors center to find out the details. A visit to South Pass City is indeed a blast from the past: the well-preserved ghost town has 17 restored structures, and kids can drink a cold sarsaparilla or pan for gold in the creek. There’s no better time to learn to ski than when you’re a kid. Wyoming’s ski opportunities are some of the best you’ll find not only in the West but anywhere in the country, with resorts spread out across the state. 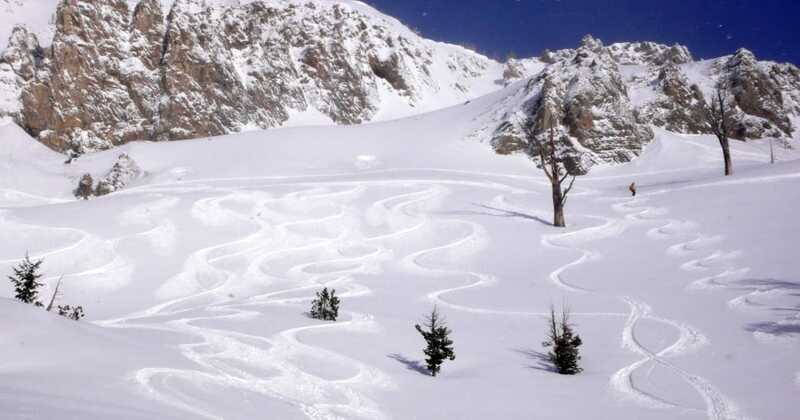 Jackson Hole Mountain Resort is a world-renowned ski area known for its epic powder conditions and gnarly slopes, but there’s more than enough terrain for families to enjoy together, too. They also have an excellent ski school, so you can also put the younger family member in a half-day lesson and rip some laps on your own. For a smaller-scale experience, head to Snowy Range Ski Area near Laramie, which has a cozy, down-home feel and budget-friendly lift tickets (kids four and under are free). One of the best things about having only a handful of cities is that there’s virtually no light pollution in most of Wyoming. That means it’s a fantastic place to check out the night sky. All the national parks have dark skies, but Devils Tower is an especially fine spot for stargazing, and interpretive programs will explain the ancestral history behind the constellations. The Flaming Gorge Reservoir, right on the Utah border, is also an exceptionally dark spot. Make your plans to coincide with one of several annual meteor showers, like the Perseids in July and August, or the Geminids, which are most active in early December. Written by Emma Walker for RootsRated Media in partnership with the Wyoming Office of Tourism.